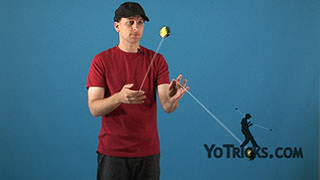 Learn the Staircase Two-Handed Yoyo Trick. 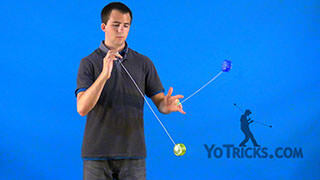 Staircase Yoyo TrickThis is the Staircase and it looks like this. 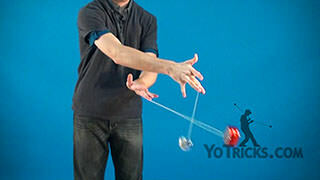 A Staircase will start in Milk the Cow, and you will transfer the Milk the Cow into a Milk the Cow in the Sidecar like so. 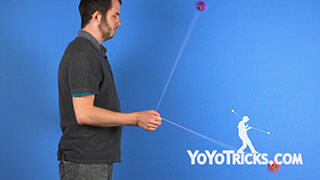 You can do this on the right-hand side of your body, or the left-hand side of your body, whichever side you prefer. 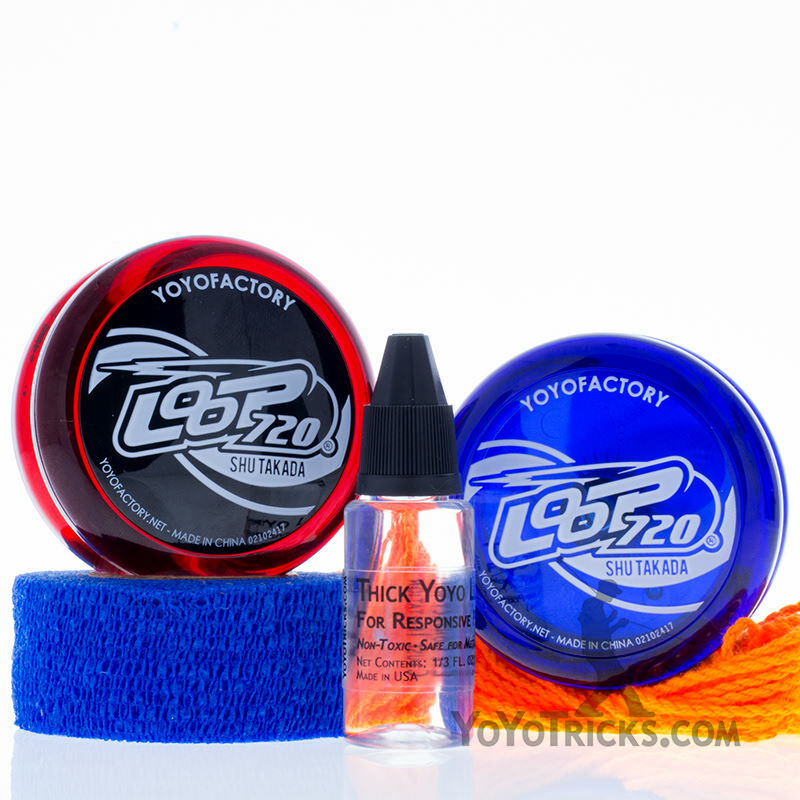 You are going to keep on making the yoyos go further and further behind you until your body twists a full 360 degrees, and you end up in Vertical Punches. 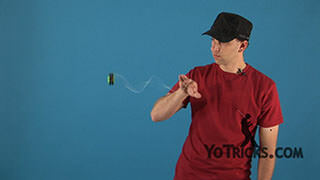 One major difficulty of this trick is that when you go half-way up the Milk the Cow in the Sidecar you start to have the yoyos go sideways on you, rather than having the yoyos go straight up and down, like so. 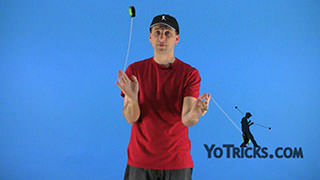 You want to make sure to avoid that as much as you can, and I have two tips for you to help avoid that. 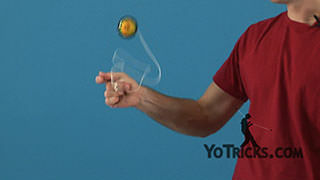 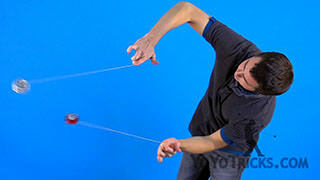 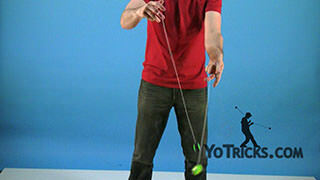 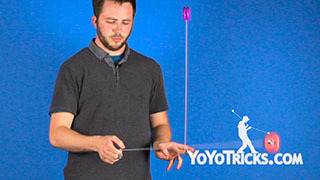 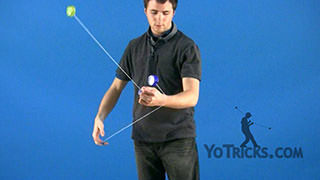 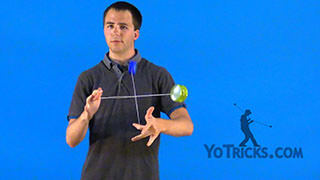 Number 1, you want to practice doing this trick with one yoyo at a time, like you would with any two-handed trick. 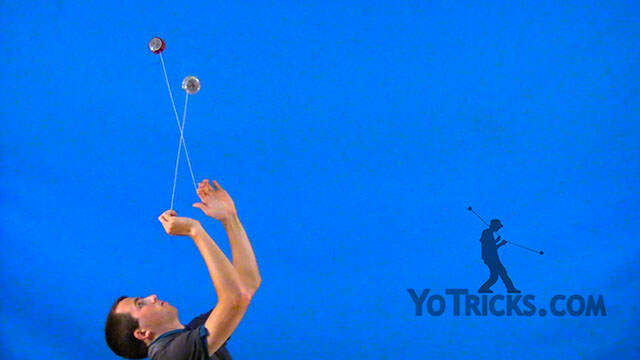 You can practice with your right-hand, going up the right-hand side of your body. 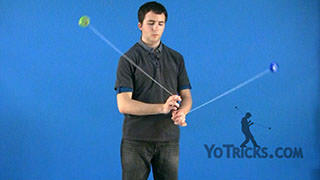 You can practice with your left-hand going up the right-hand side of your body. 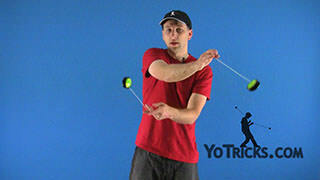 You can do those same two variations turning to the left-hand side of your body as well. 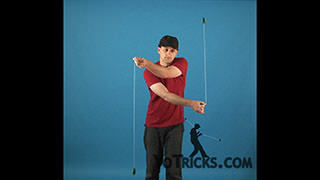 I suggest that you practice making sure you twist on the same side of your body. 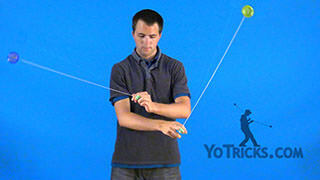 Otherwise, you are not going to be able to do the Staircase, like this. 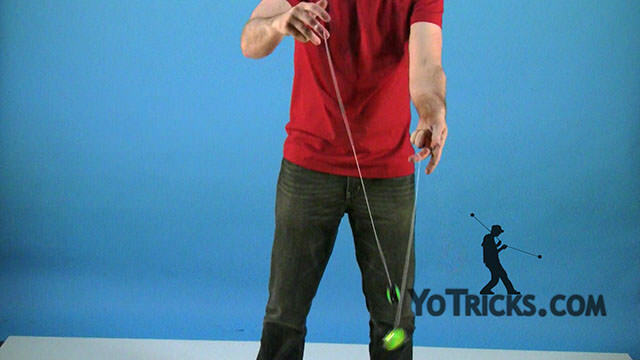 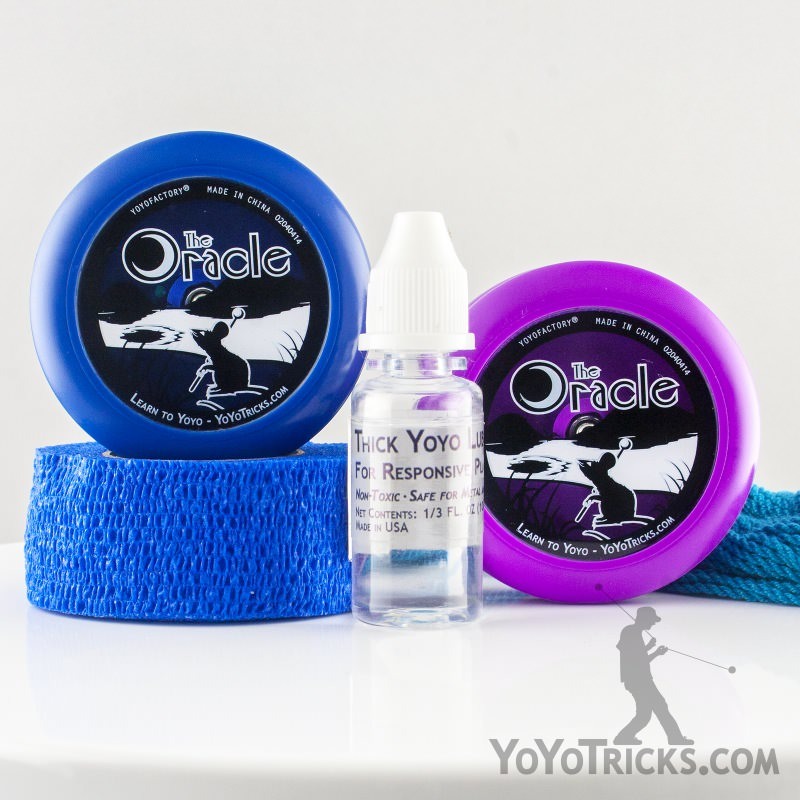 The second tip I have for you is once you start getting half-way up, and you start having your yoyos go sideways on you, you will have a tendency to stop turning you body to regain control of the yoyos. I suggest never actually stopping, or pausing to gain control of the yoyos, you just want to keep on turning your body, and let the yoyos catch up to your body twisting over, and let the yoyos ride up over to the top of the Staircase. 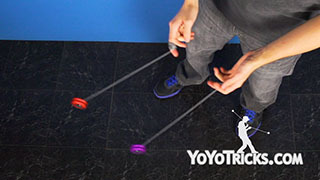 Other than that, that is the Staircase.